The TD left the Independent Alliance last week after a row over who should serve as a junior minister. WHOEVER GETS THE role of the government’s assistant chief whip will not take up the €15,000 top up that comes with the job. Earlier today, Seán Canney resigned as the government’s assistant chief whip. The TD confirmed the news in a statement issued this afternoon. Last Friday, Canney announced that he was leaving the Independent Alliance (IA). It followed on from a row between Canney and Kevin ‘Boxer’ Moran about who got the job of Minister of State for the OPW. 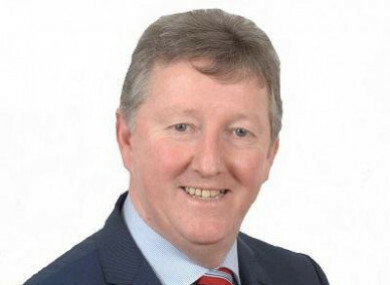 The TD said his role as assistant chief whip “has become a distraction from my main priority, which has always been to serve the interests of the people of Galway East”. “I will continue to support the government on budgetary and confidence issues. It is important that we maintain a stable government, when we have so many pressing matters, nationally and locally,” Canney added. A decision is yet to be made as to who will take over from Canney. Despite government sources stating the job will have go to someone in the IA, a member of the group said the job will go to a TD in Fine Gael. Government sources also state that whoever is successful in taking on the role will not take the additional pay bump of €15,000 that comes with the job. Canney left the IA after a disagreement over who should serve as the Minister of State for the Office of Public Works – him or Kevin ‘Boxer’ Moran. During talks on forming a government with Fine Gael in 2016, it was decided that the role would alternate between the two TDs. It’s understood that Canney and Moran flipped a coin to decide who would take on the role first. Canney was appointed to the role for the first year of the minority government and Moran took over a year later. A row developed over who would serve in the role this year, with Moran getting to retain the position. Email “Whoever gets the government assistant chief whip job won't be taking the €15k top up”. Feedback on “Whoever gets the government assistant chief whip job won't be taking the €15k top up”.